This book was a real page-turner. Todd Moss has created a character In Judd Ryker that may end up rivaling Jack Ryan as a continuing hero in several books and maybe a movie or two. The story revolves around a coup in Africa and the US Government’s attempt to stop it. Moss made it believable without going over the line. Based on the status of today’s hot spots I could see this scenario actually happening. Judd Ryker is a typical brilliant, but tough to get to like, State Department diplomat that the Administration uses when they have a difficult problem to resolve in a country that is dangerous and falling apart. Judd usually gets the job done but has unorthodox methods that sometimes infuriates his desk bound superiors. The book has a Clancy-like feel but without all of the details that made Clancy’s book exceed 600 to 800 pages. I could do without the details as the story was enough to keep me reading. Todd Moss has written a winner and I am hoping for another Judd Ryker based problem in the world to keep me up other nights. I give this book a 9 out of a 10 and I suggest you don’t start it unless you have time to finish in 4 days like I did. 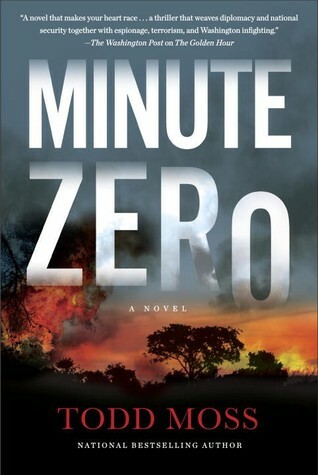 In Minute Zero, State Department crisis manager Judd Ryker is suddenly thrown into a quickly developing emergency in Zimbabwe, where a longtime strongman is being challenged for the presidency. Rumors are flying furiously: armed gangs, military crackdowns, shady outside money pouring in, and, most disturbing for the United States, reports of highly enriched uranium leaking into the market. And that’s all before Ryker even lands in the country. It gets much worse after that. If he can’t get control, shape his Minute Zero, a lot of people are going to die–not least of all himself. 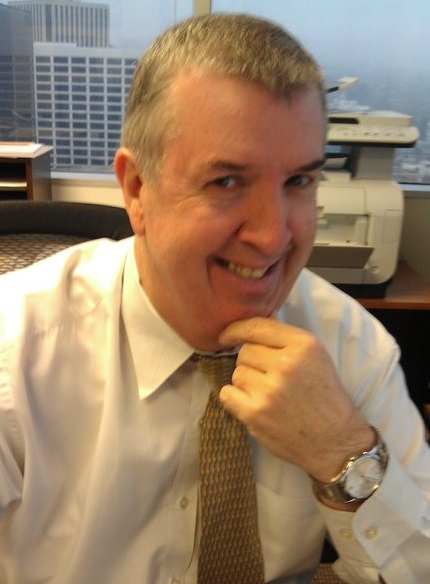 Todd Moss is vice president and senior fellow at the Washington think tank the Center for Global Development, and an adjunct professor at Georgetown University. In 2007-2008, he served as deputy assistant secretary of state in the Bureau of African Affairs, where he was responsible for diplomatic relations with sixteen West African countries. Moss lives in Maryland . Jeff Buttikofer lives is Los Angeles but grew up in the Midwest playing multiple sports including baseball, basketball and football in high school and college in the early 70s. He has continued to be a big time sports enthusiast but now days is relegated to enjoying it from his chair in his man cave with his five six ( due to a recent upgrade…SIX!! ) TVs all bringing it to life in the comfort of his own home. October Book Club Review - "On The Island"
I will have to add this to my winter reading list. It sounds like Ryker makes it interesting and probably hard to put down. This sounds like such a high-octane thriller. I bet my boyfriend would want to read it after me. That sounds like a book my husband would LOVE! I think I might get him a copy for Christmas. Wow this does sound like an amazing book and thank you for sharing your review. I love page-turners! Adding this to my reading list now! Lol. You know it is a good book when you pick it up and can’t put it down. I like Clancy’s books and now that I’m on a book reading blitz, I’ll have to try this out! This sounds like a great book to check out! This book sounds right up my alley! I love books that leave you on the edge of your seat! This looks like a great book. I will have to check out a copy. I just finished my book and i need a new one. Sounds like a fast paced book. Gotta love books that leave you sitting on the edge! This sounds like an interesting read. I can’t wait to get a copy of this. If you’re a diplomat there are probably good reasons to be tough to get to like. 😉 I do like the sound of the book! This does sounds like a real page turner! I cannot wait to get my hands on it! Sounds like a great book, definitely something to put on my list. I think my husband would enjoy this book. This would make a great stocking stuffer! this sounds pretty interesting, guess i might try to get it..
Great review! This sounds like a really good read. Thank you! The book sounds interesting but simply is just not my kind of book. However, this is a book my son-in-law would just love reading. I love to read action and high paced books. This sounds like a book that I would really enjoy. Thank you for informing me about this awesome book. I will have to see f the library has this book & borrow it if they do. I love a good page turner! This sounds like a captivating read! I’ll have to add it to my list. The book sounds awesome, thank you.